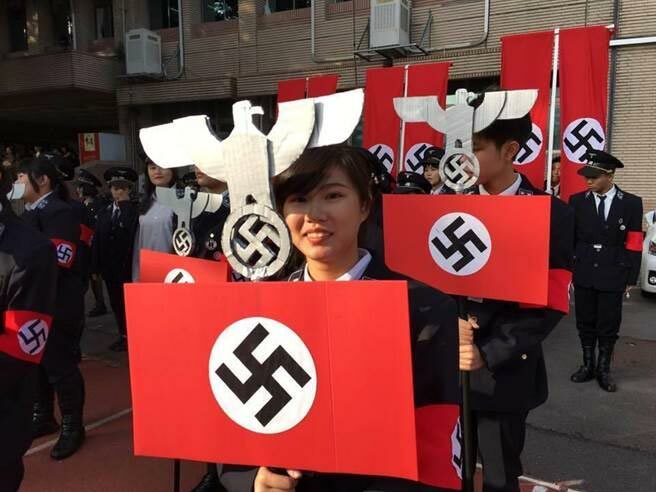 2 Students of Hsinchu GuangFu High School, Taiwan, pulled a parade wearing black nazi uniforms and holding nazi flags. 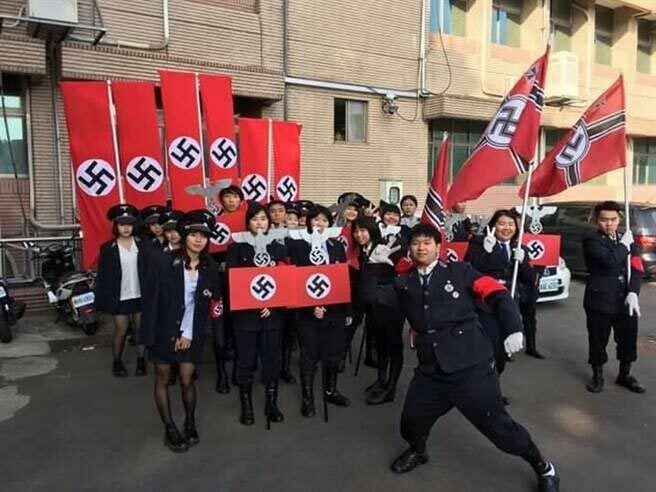 Students of Hsinchu GuangFu High School, Taiwan, pulled a parade wearing black nazi uniforms and holding nazi flags. The images, published online by some of the participants, were soon removed, but too late. The photographs began circulating, drawing strong criticism from Chinese netizens. We do not know the real reasons, although it seems to have happened within the cultural activities of the school. 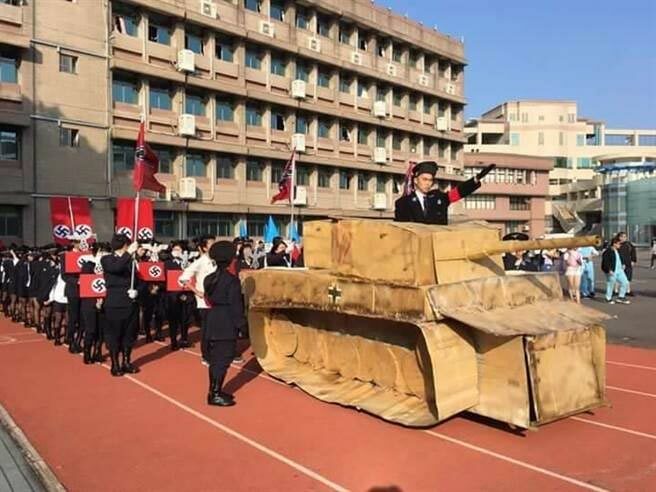 This is not the first time that Taiwan students imitate Japanese invaders of the Sino-Japanese War or the Nazi Germans. In September 2006, Hsu Na-chi, a student in political science at Soochow University, founded the National Socialism Association, 國家 社會主義 學會, a neo-fascist organization. The NSA attracted criticism and condemnation by various human rights organizations. Then in 2011, three more students appeared in a training camp of the Department of Defense, wearing Nazi uniforms. For this reason the Ministry of Defense of the Republic of China, presented an apology to the Israeli government. In 2013, some protesters attended an anti-gay parade wearing Nazi uniforms. When asked why the protesters said that Nazis opposed homosexuals and they agreed with that. Again, Taiwanese government presented a formal apology.